Expired 1y ago . Last validated 1y ago . Used 29 times. 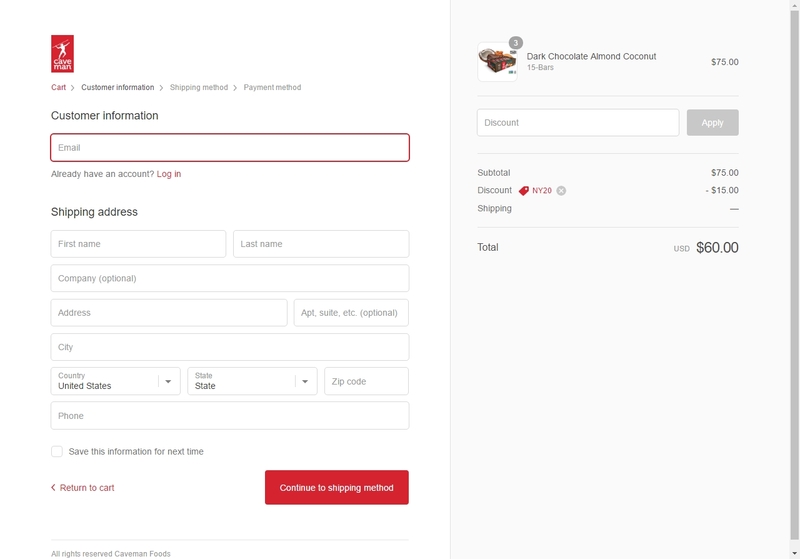 alex gonzales This promotional code works perfectly, simply enter the code during the payment process to apply this discount. 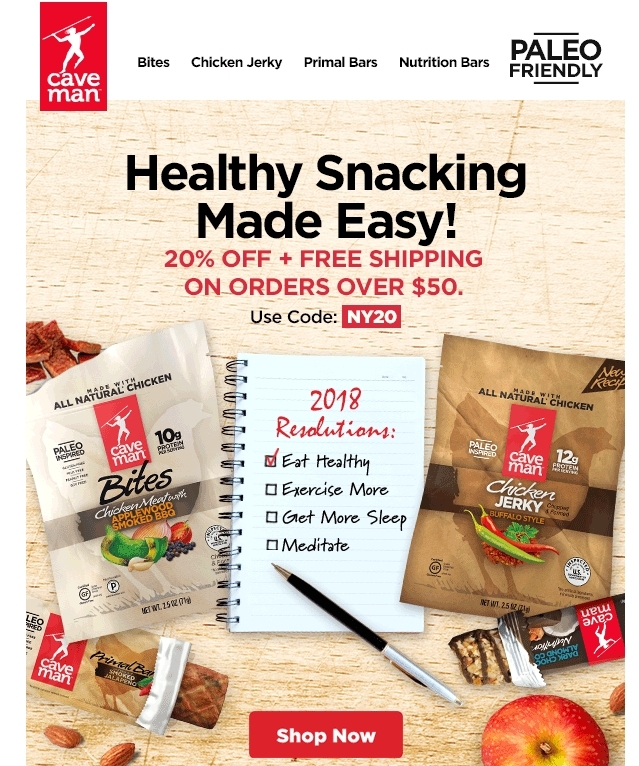 20% Off Your Order Over $50 + Free Shipping at Caveman Foods. 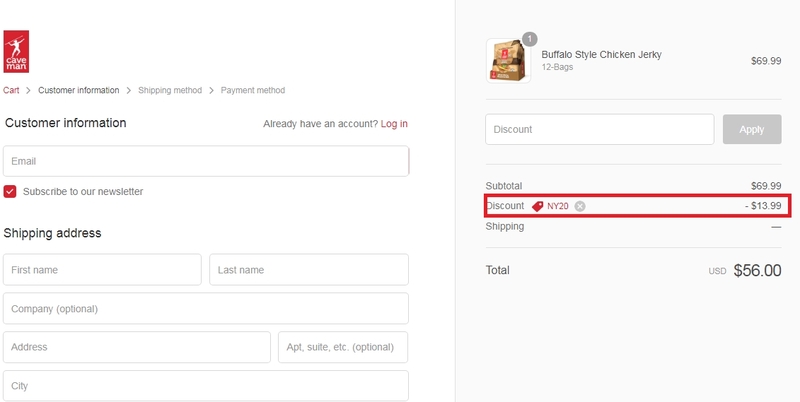 Leng-Leng Tested this promo code for Caveman Foods and verified that it works as described. Just enter the code at check out to get 20% Off Your Order Over $50.